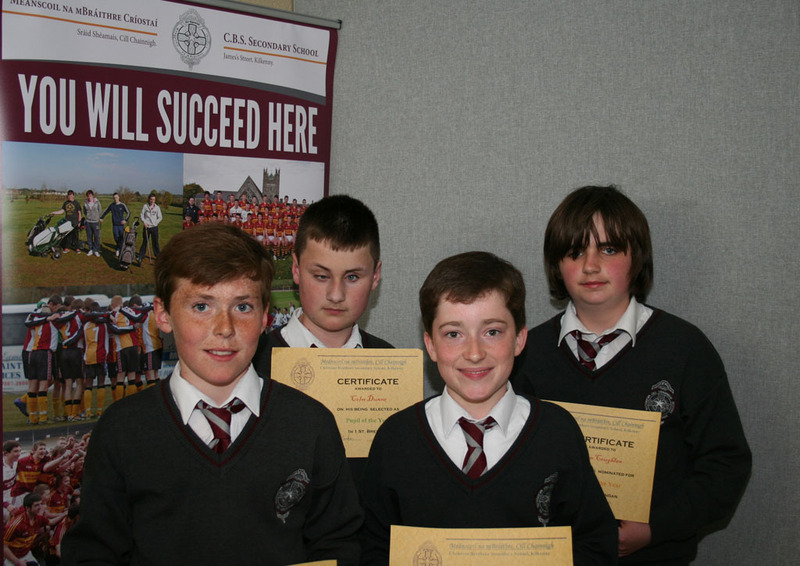 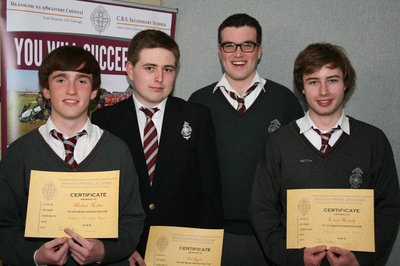 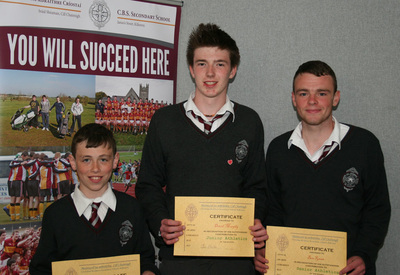 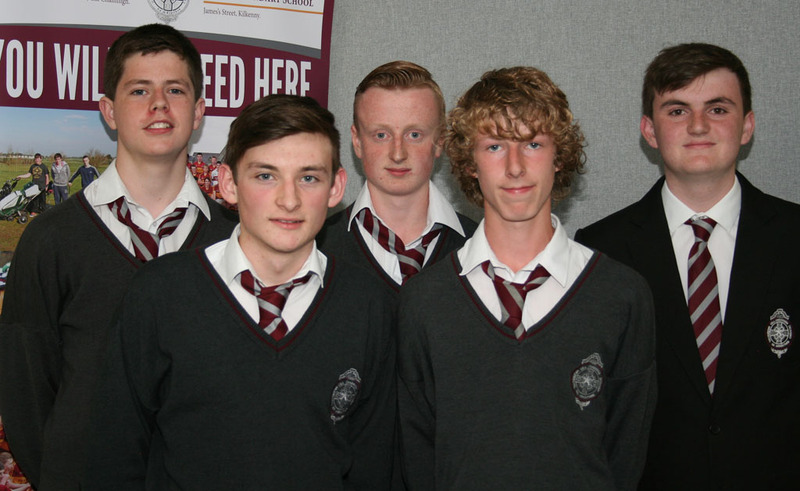 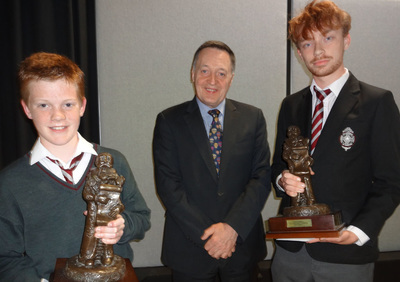 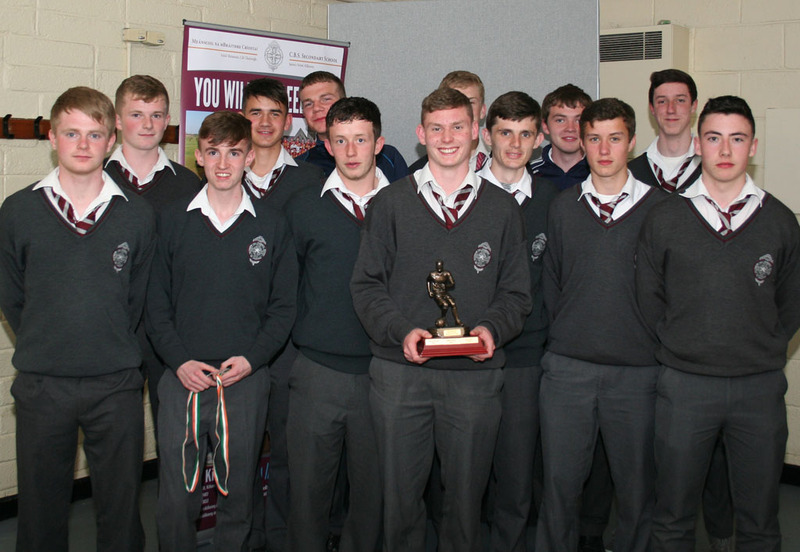 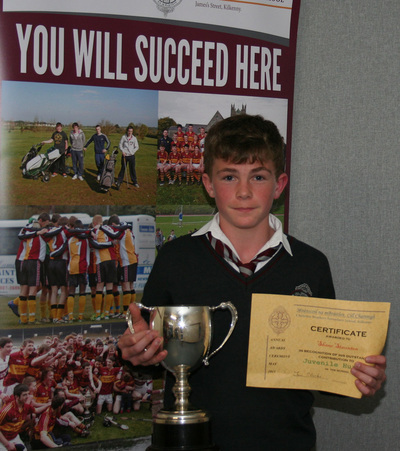 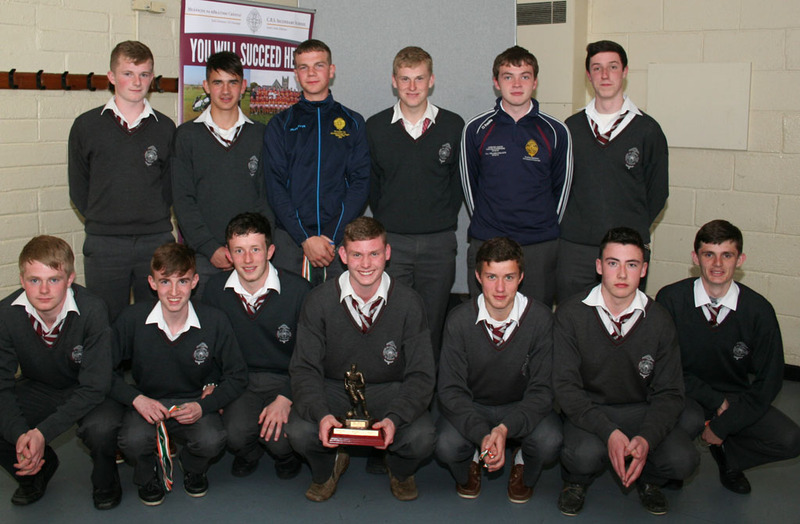 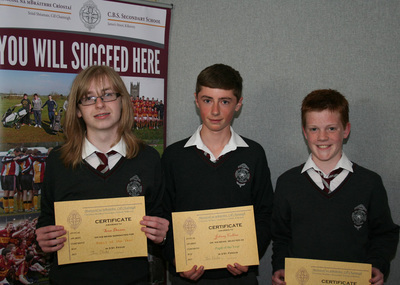 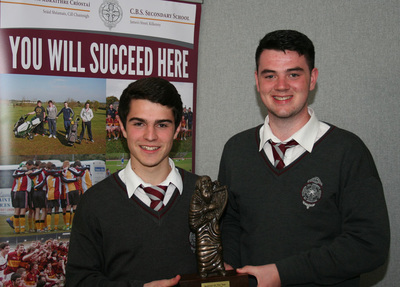 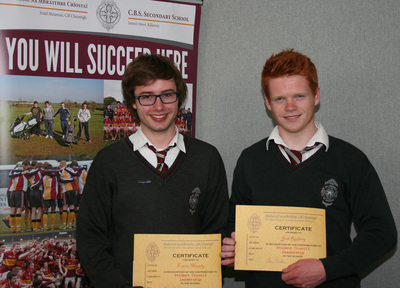 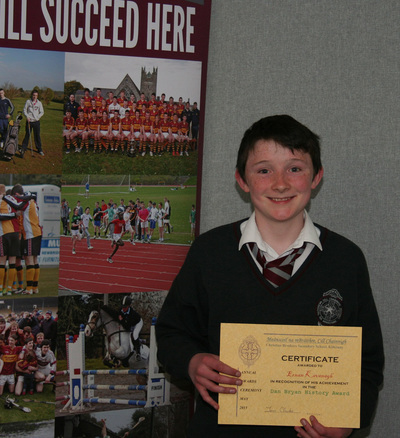 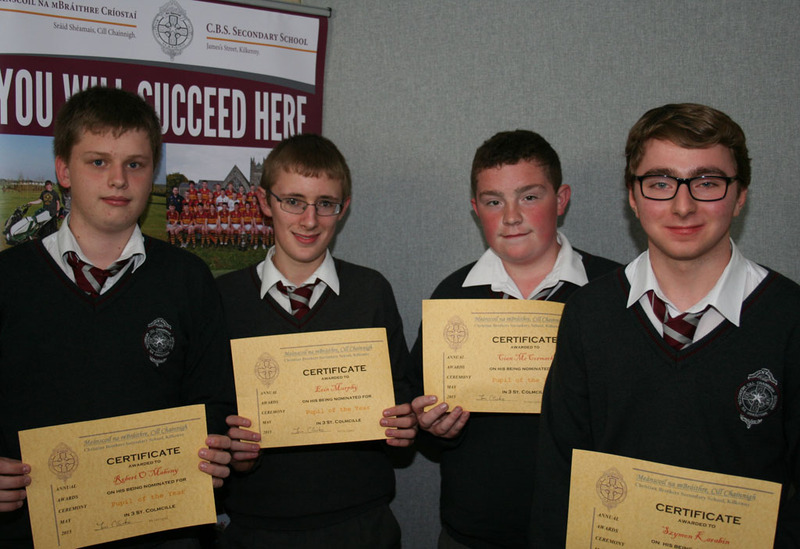 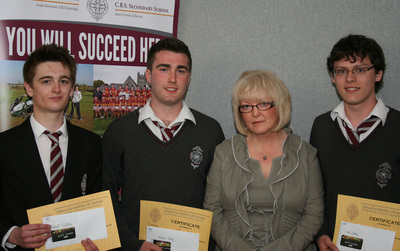 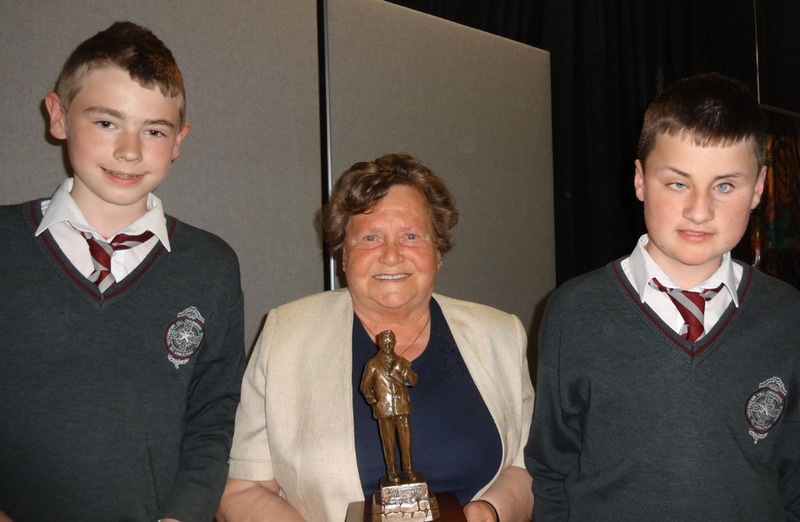 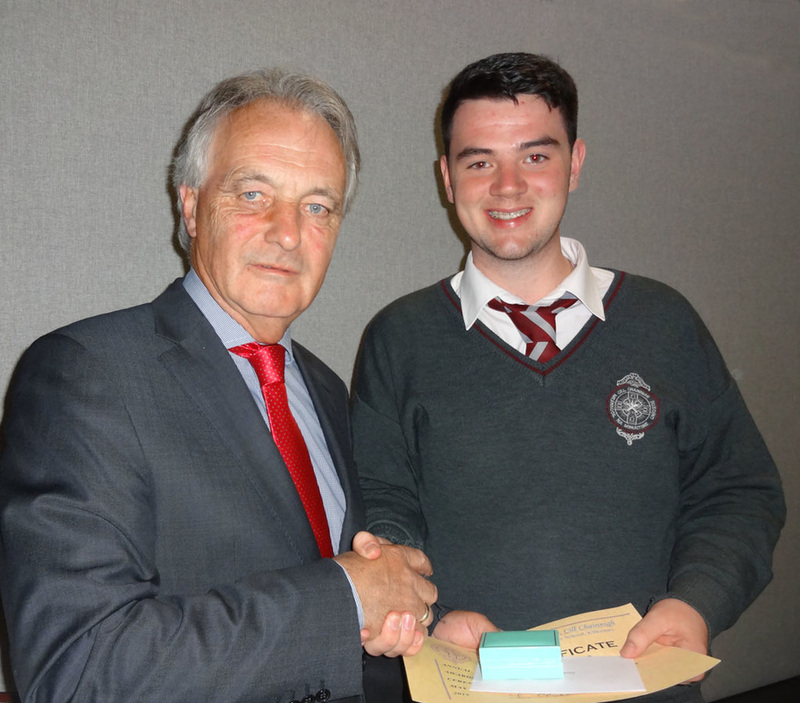 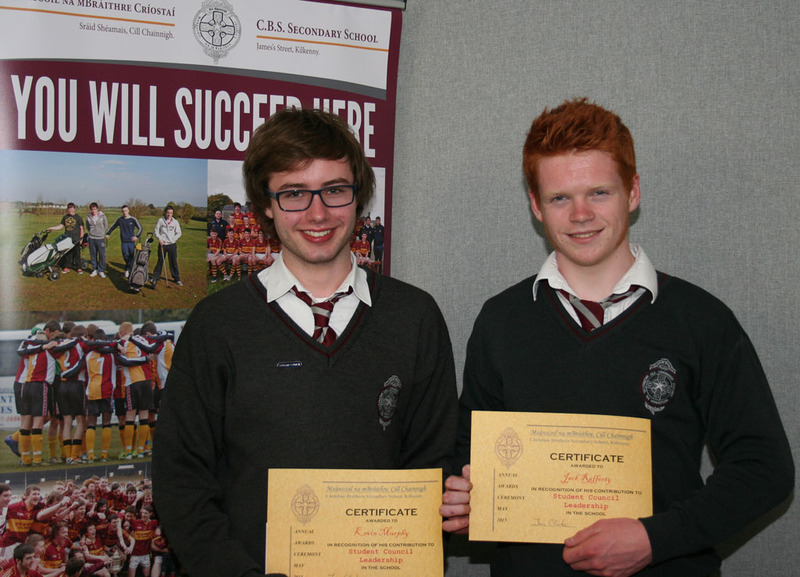 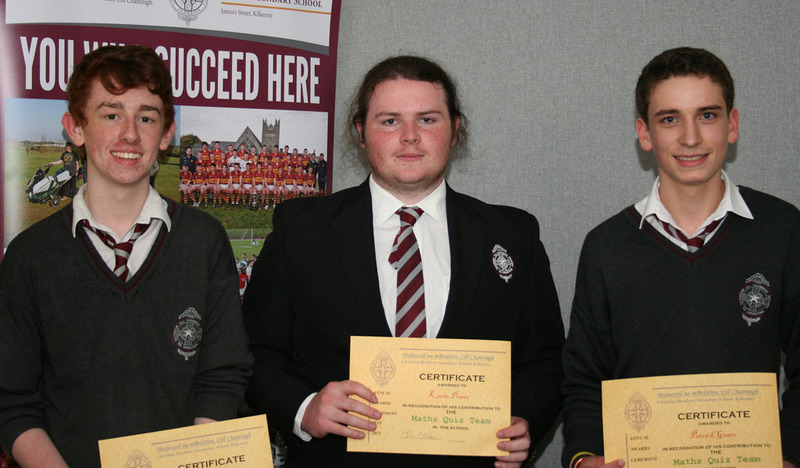 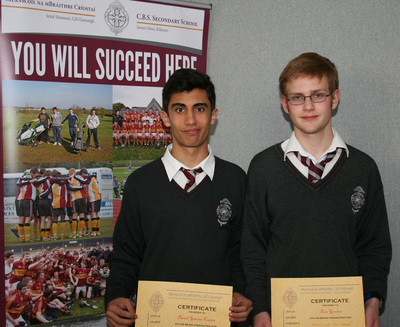 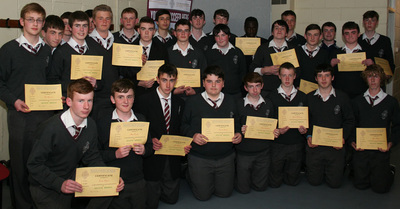 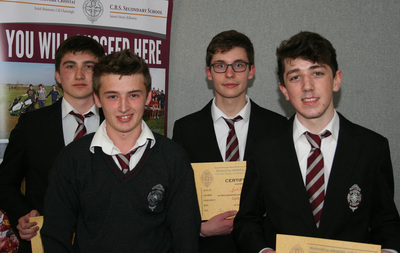 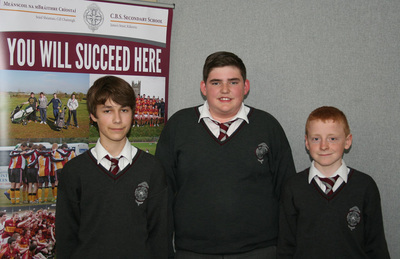 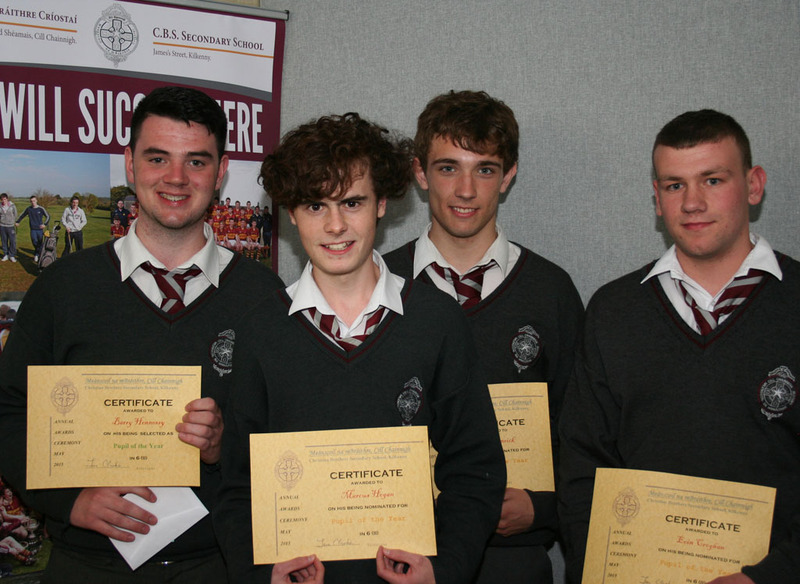 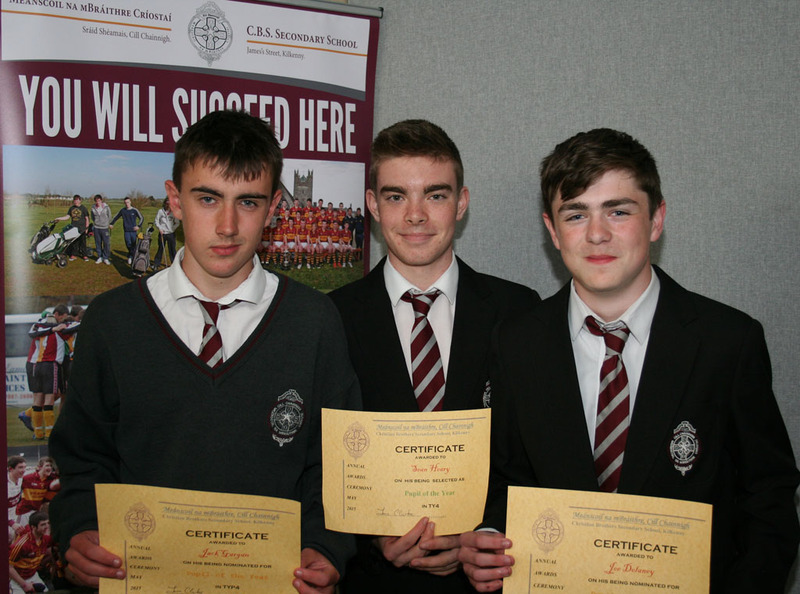 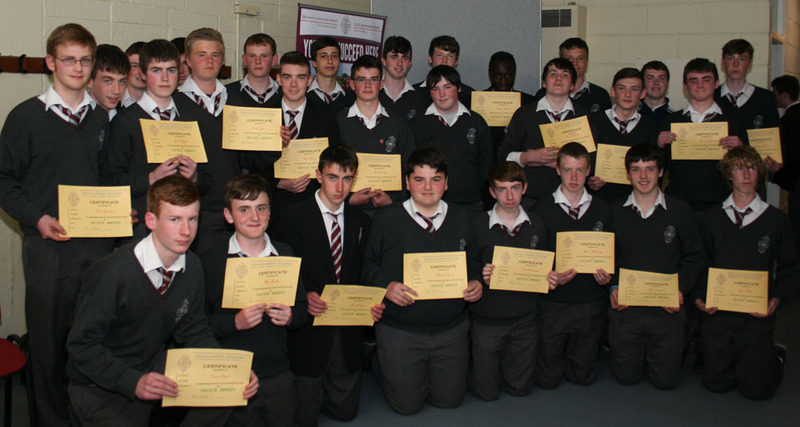 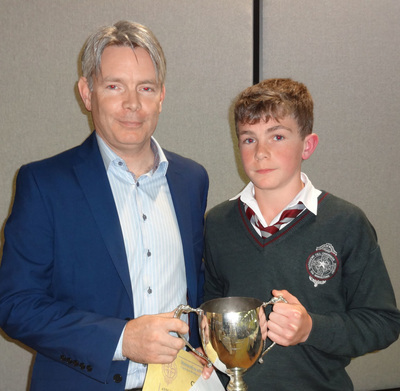 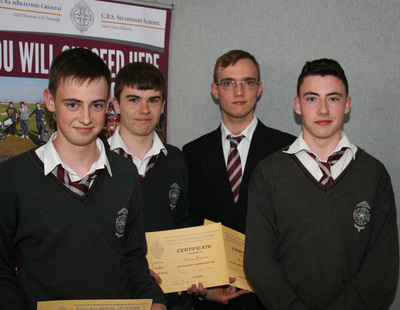 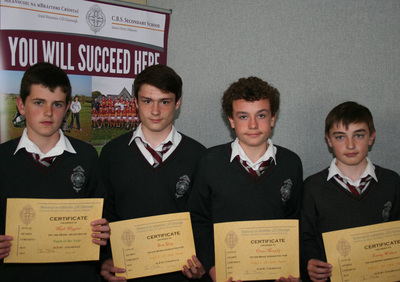 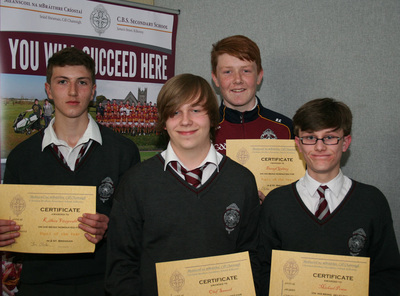 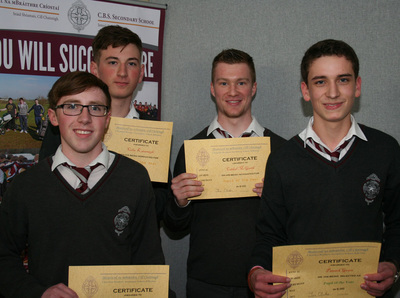 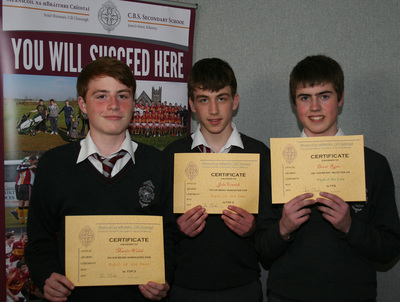 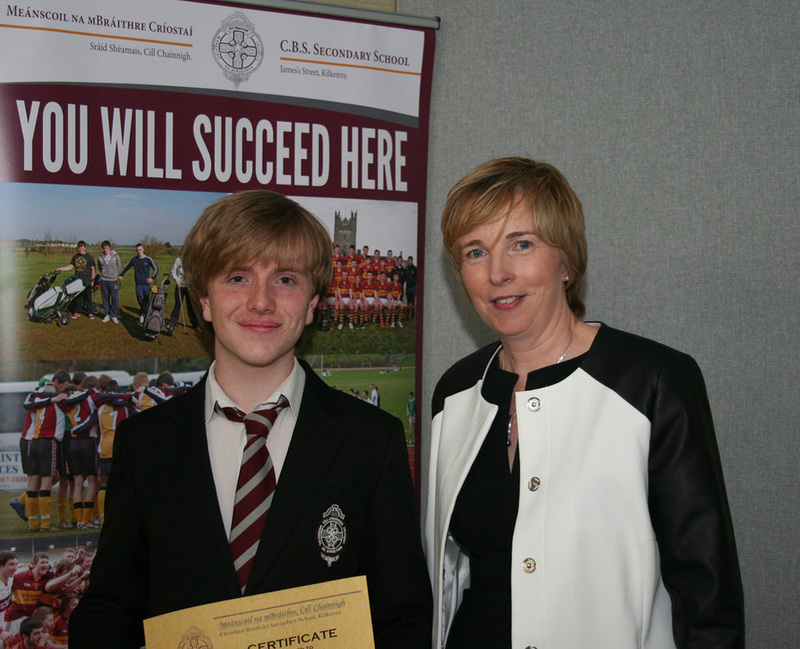 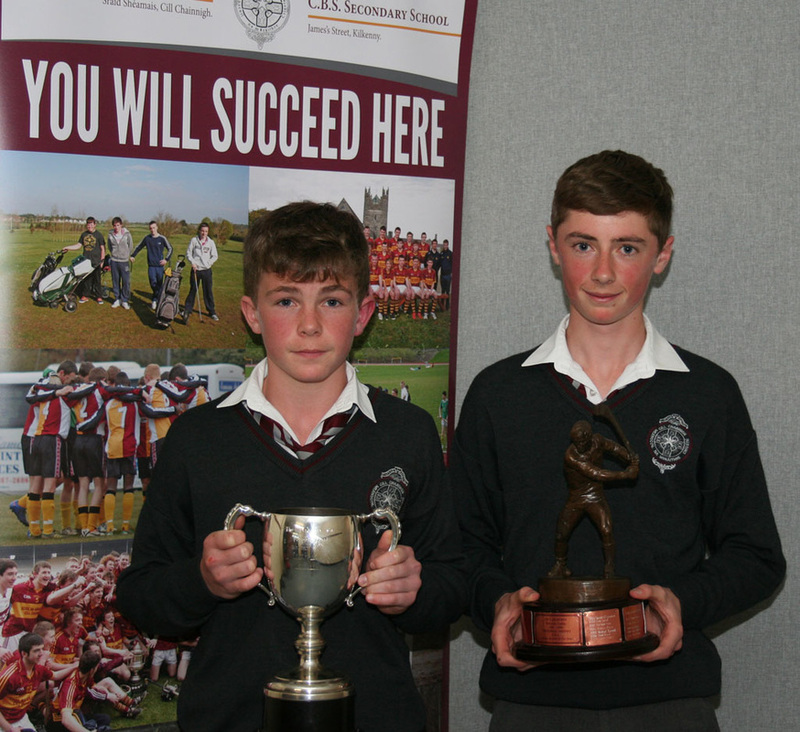 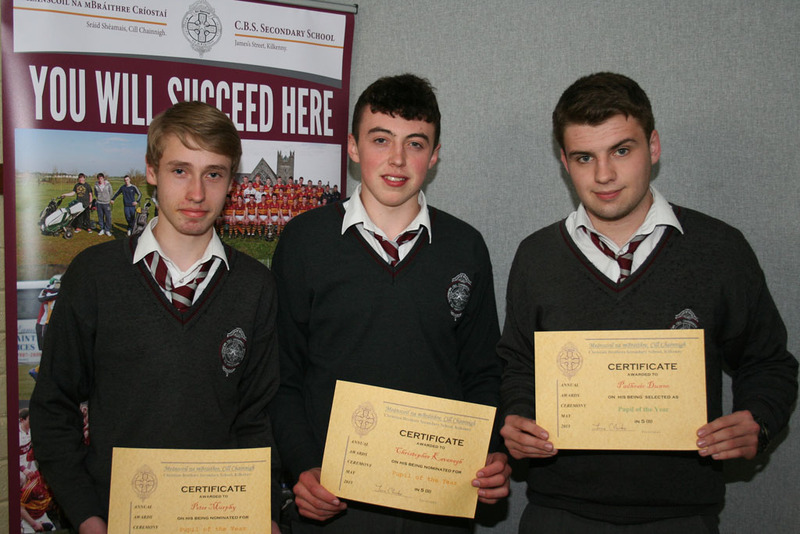 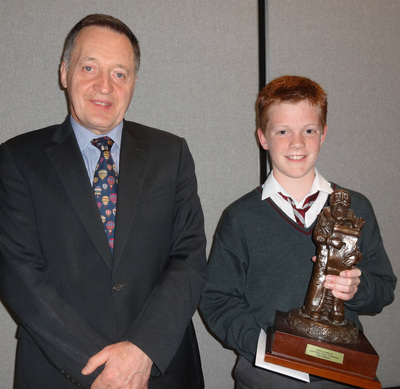 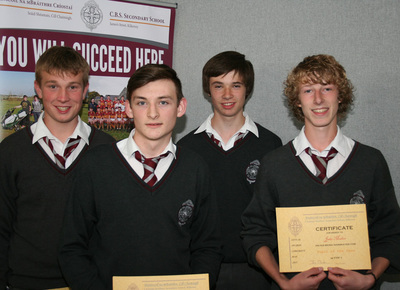 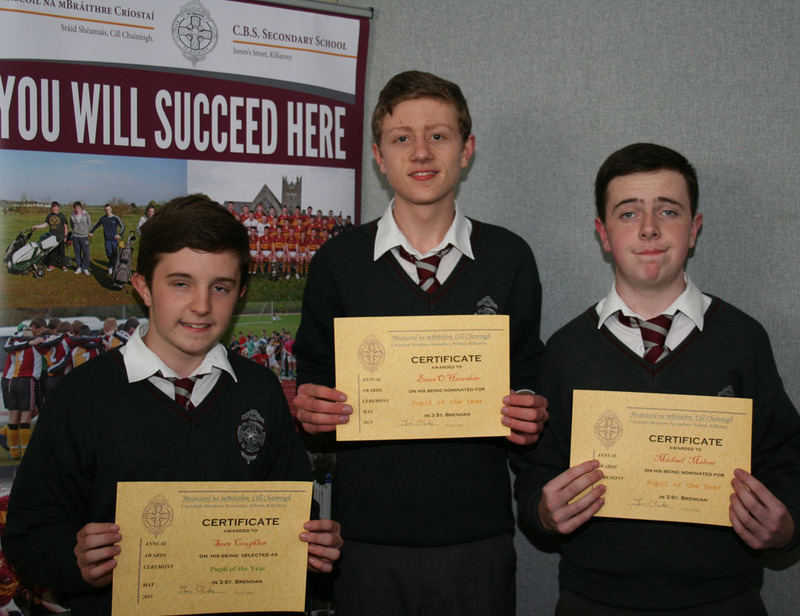 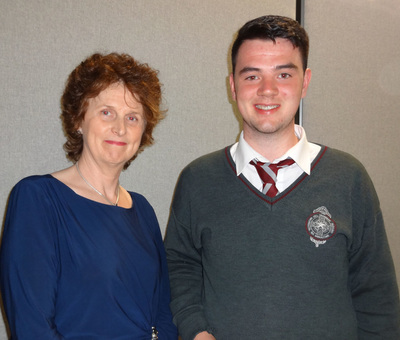 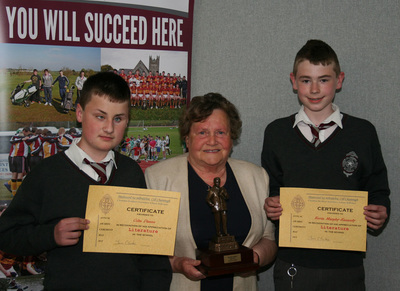 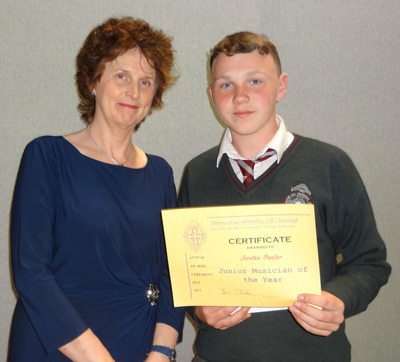 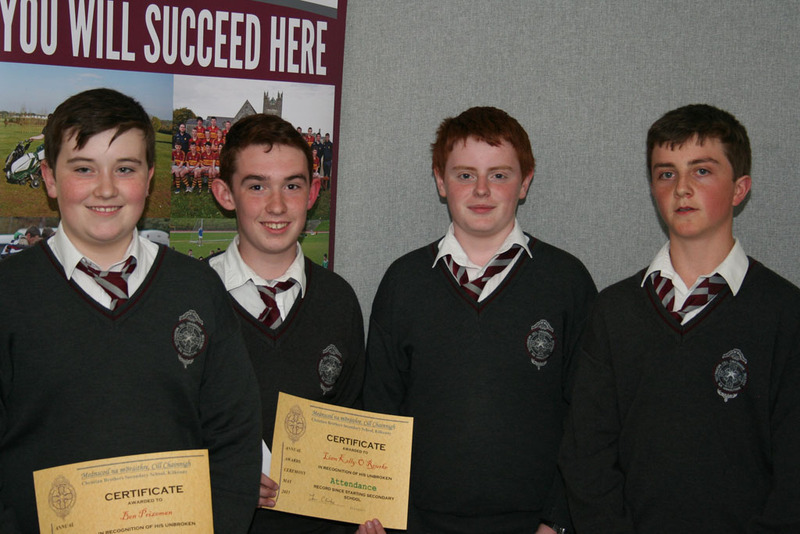 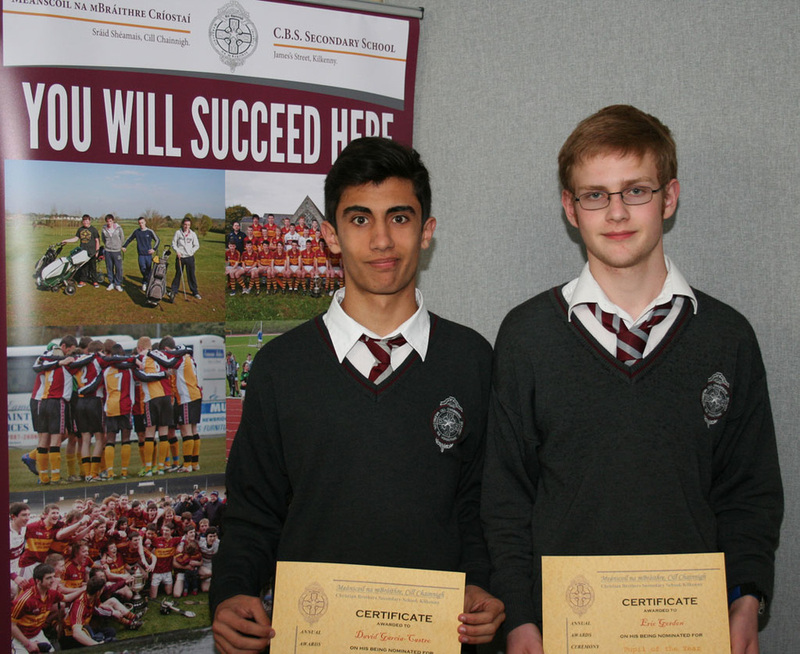 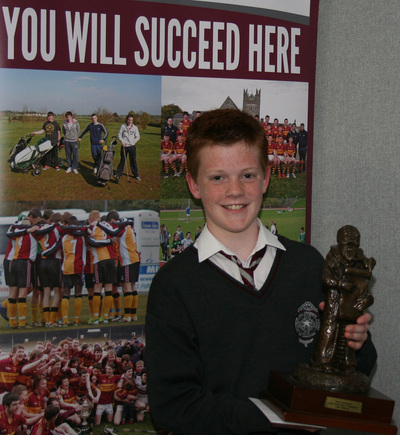 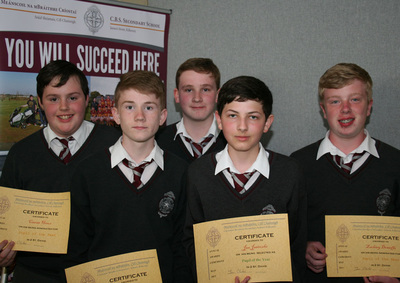 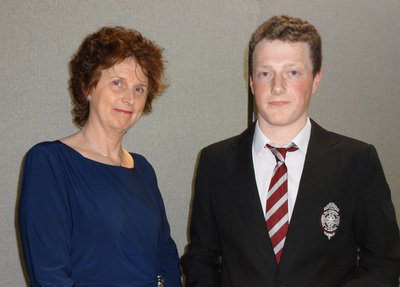 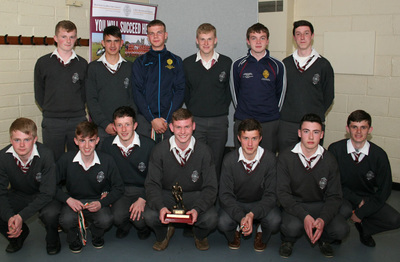 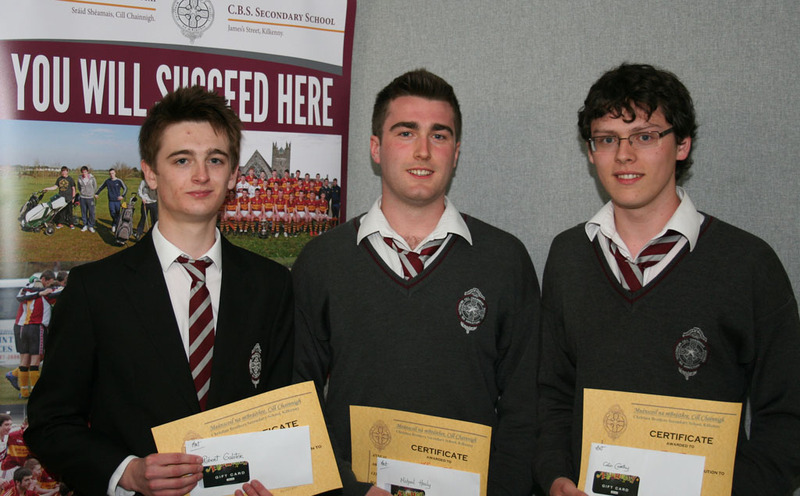 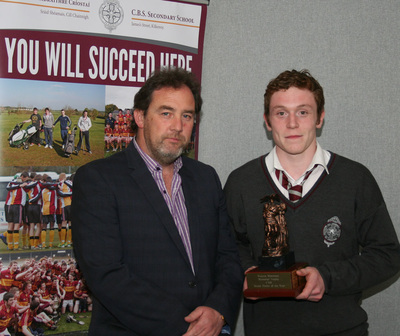 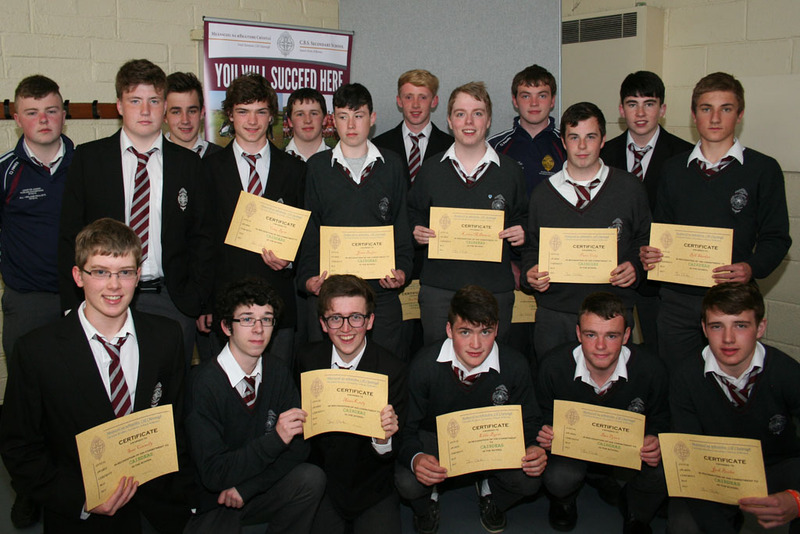 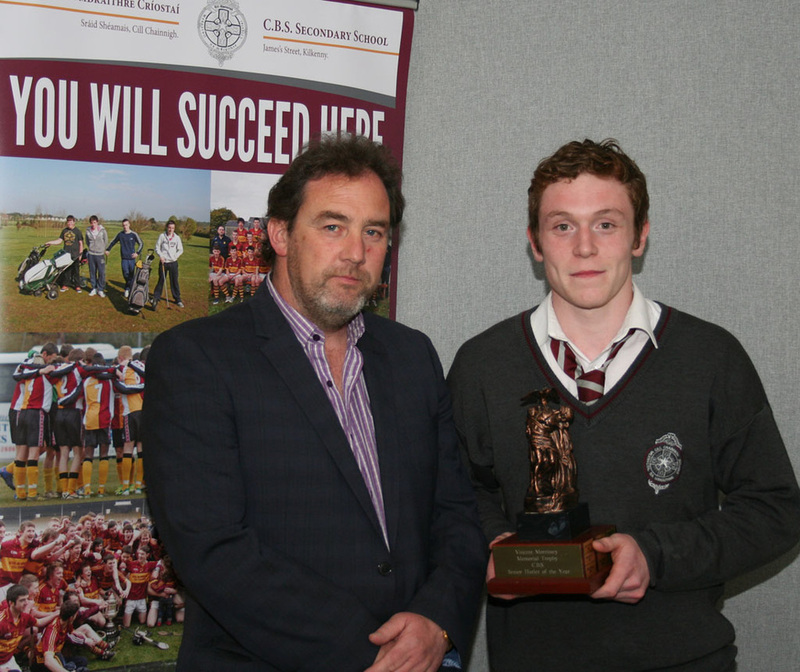 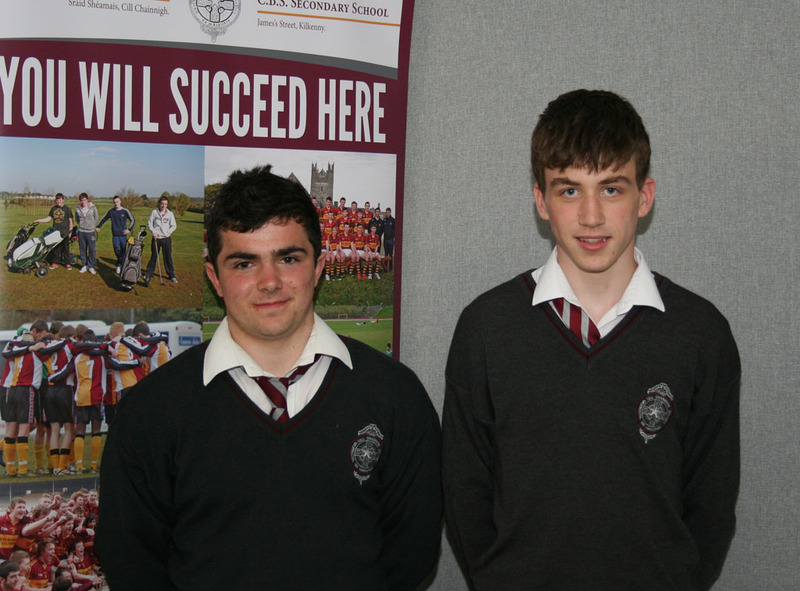 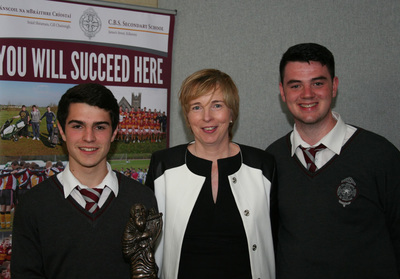 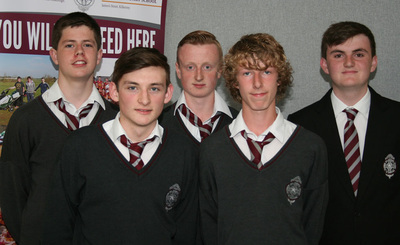 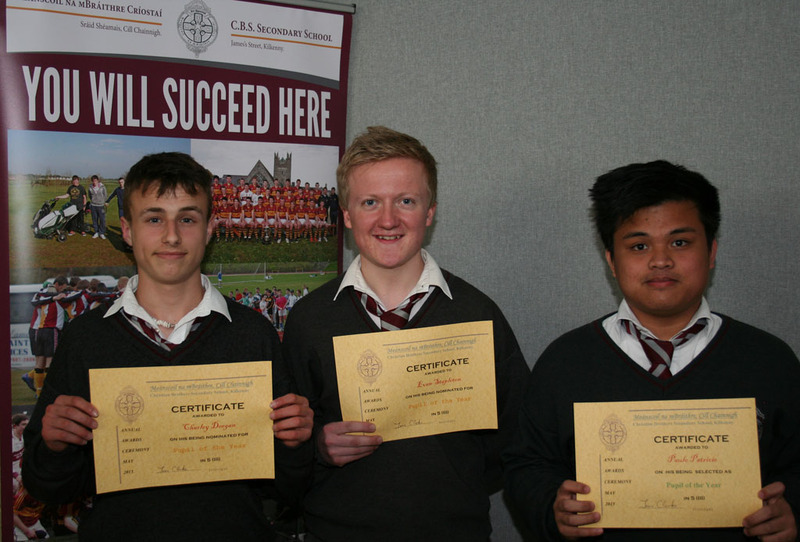 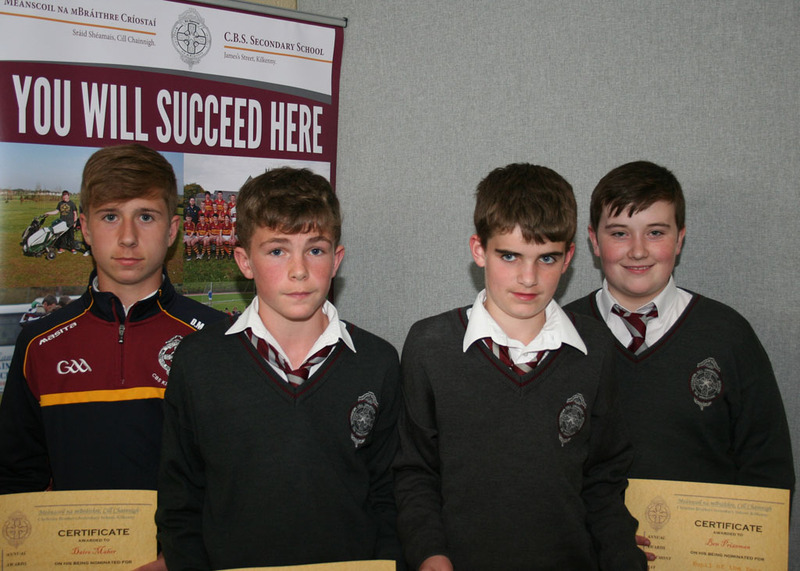 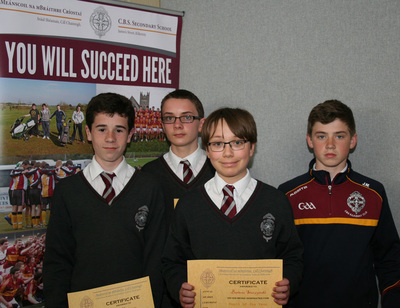 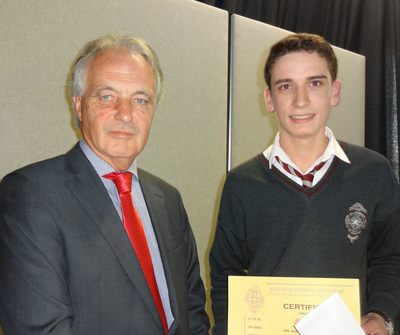 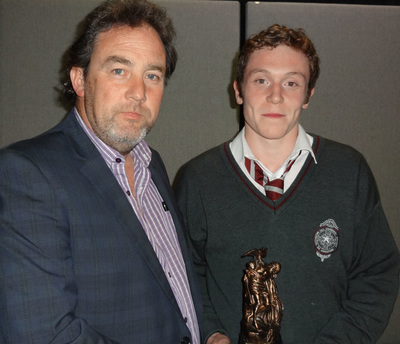 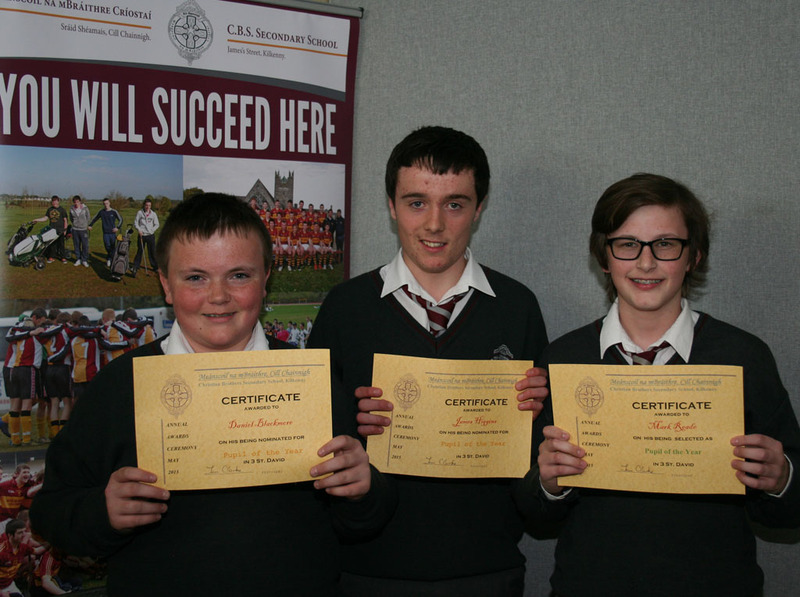 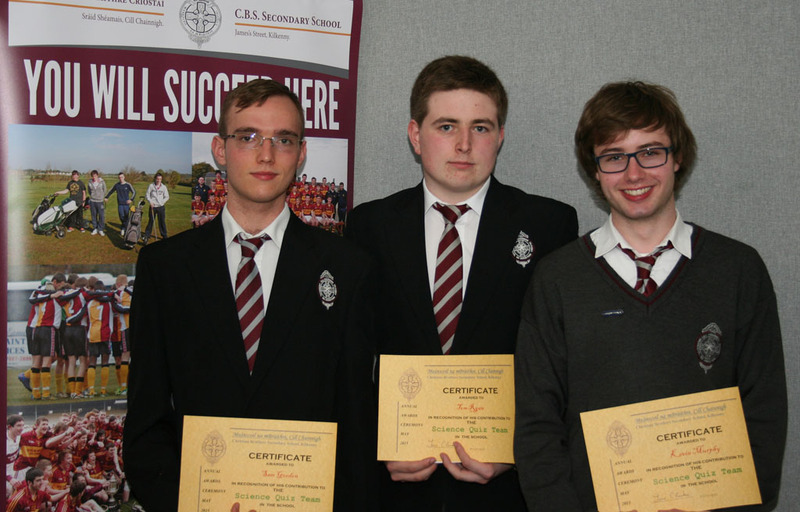 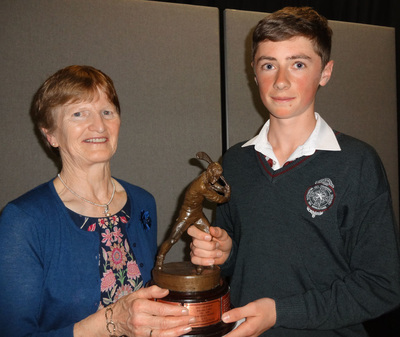 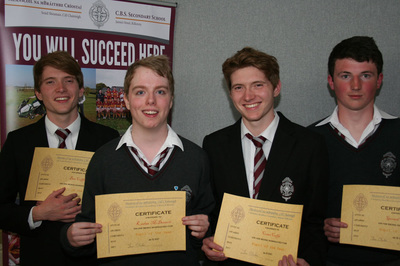 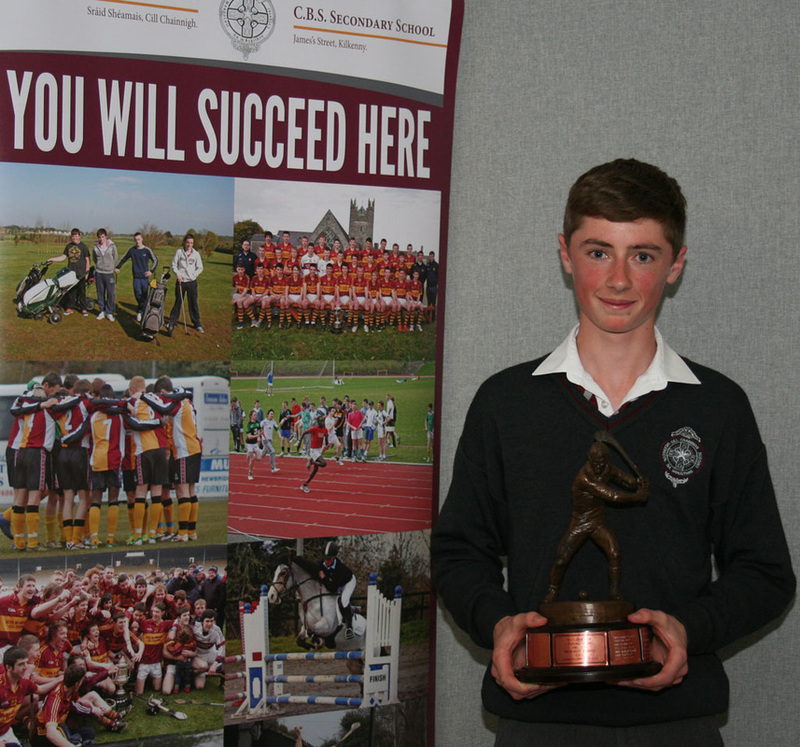 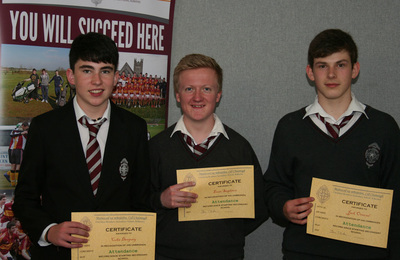 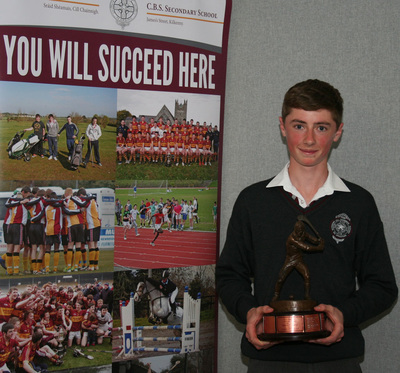 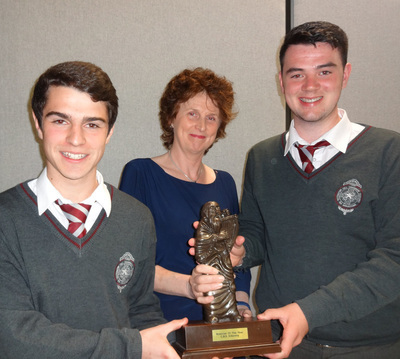 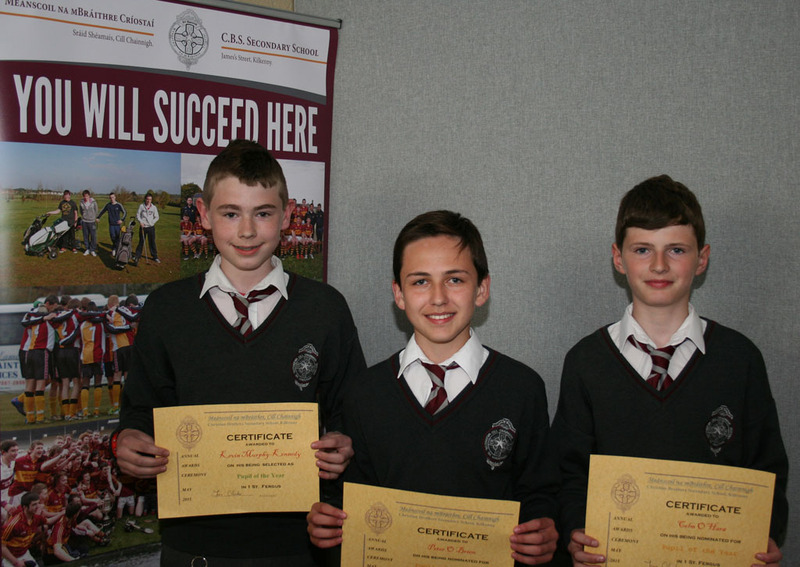 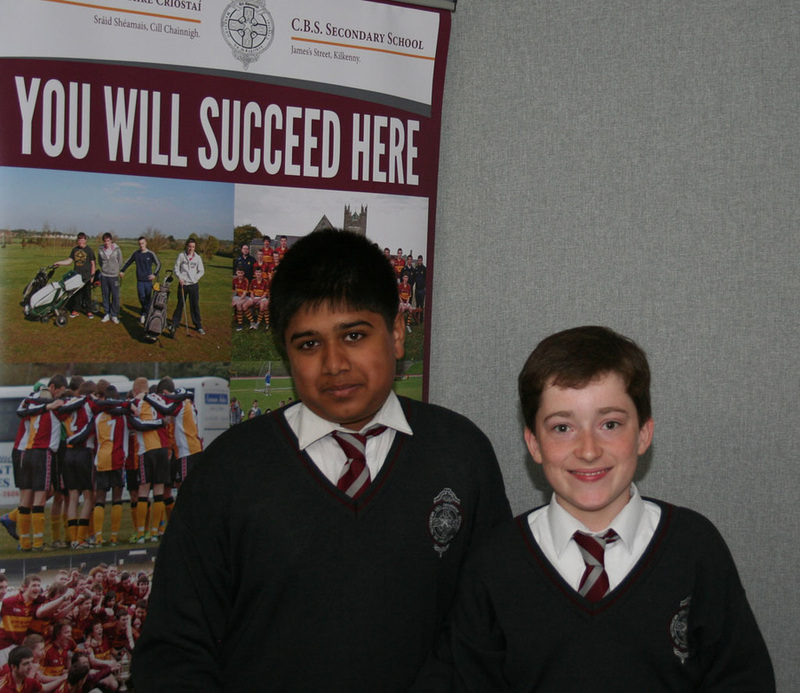 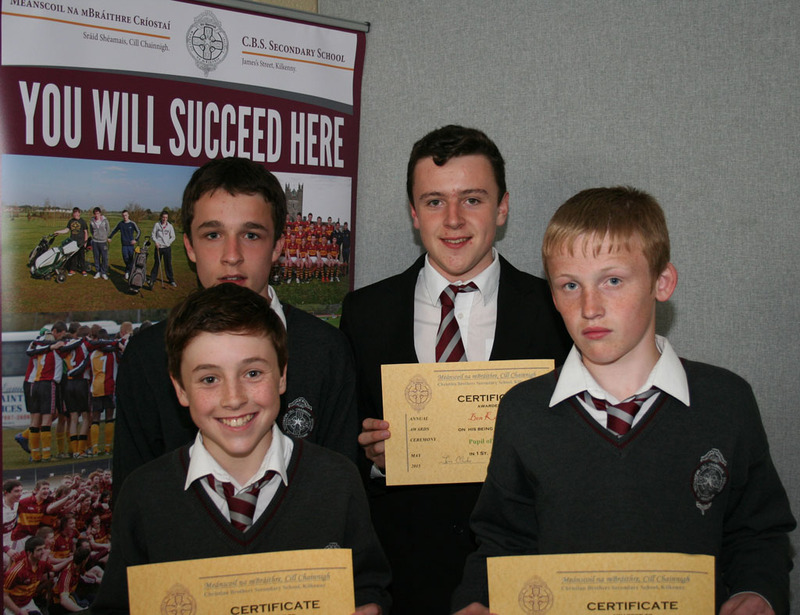 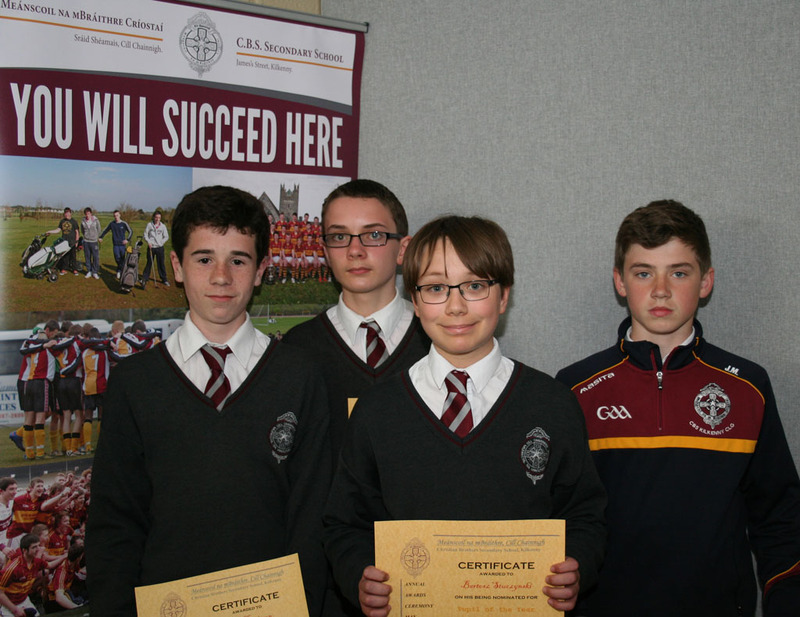 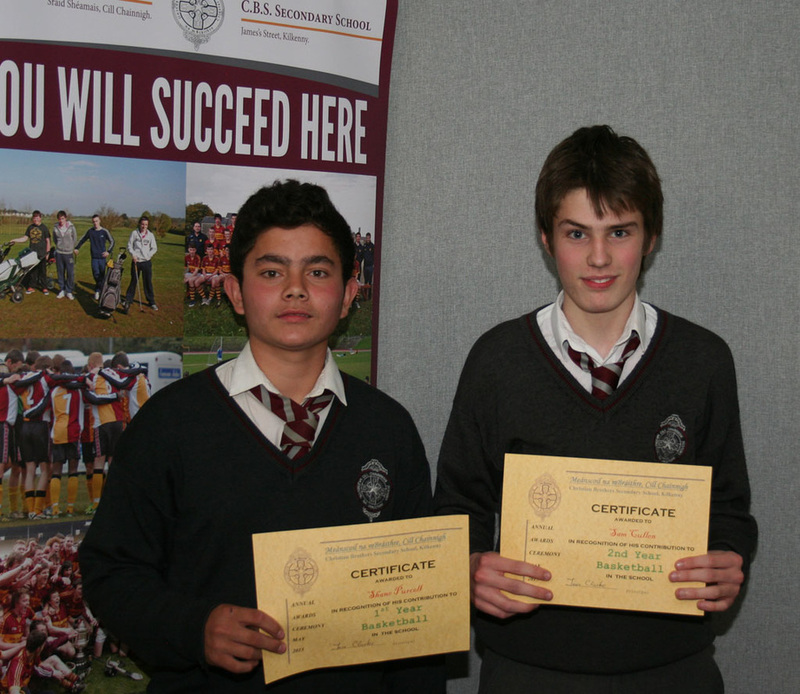 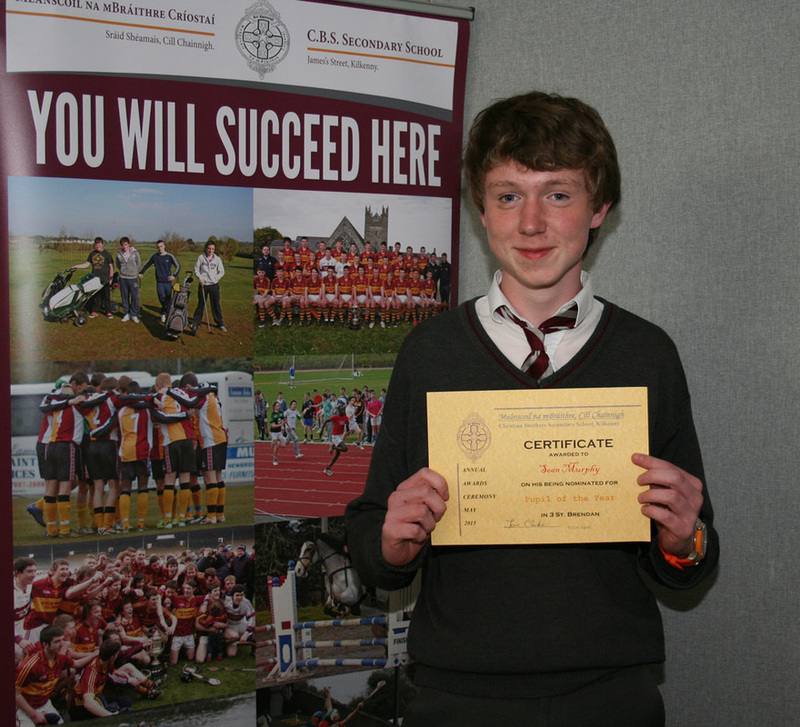 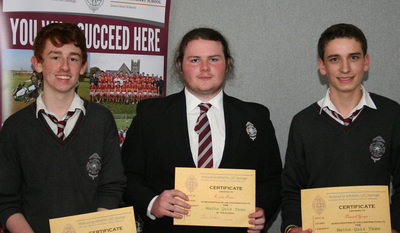 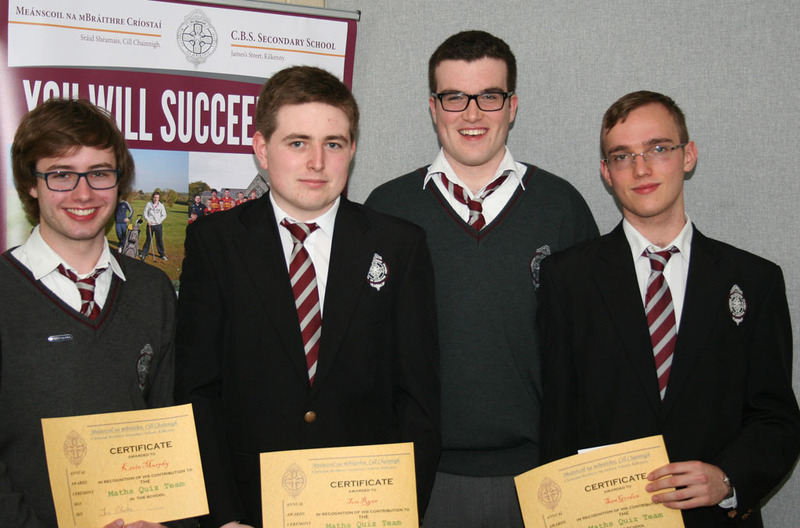 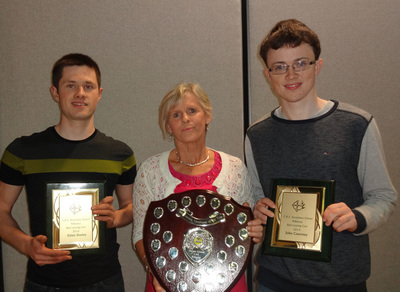 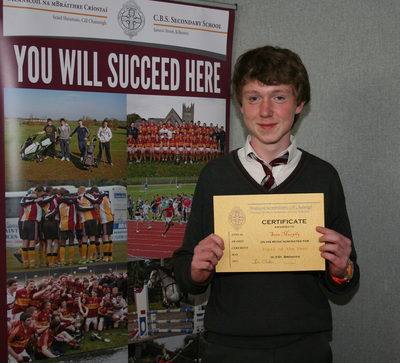 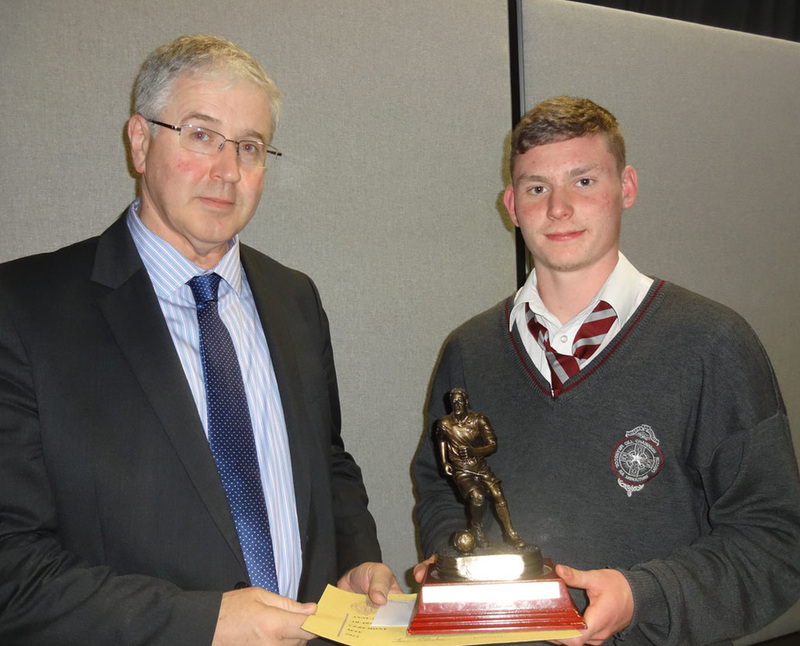 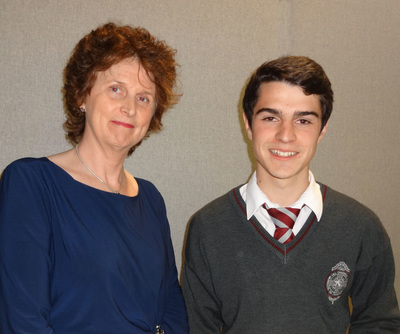 On Wednesday May 13th 2015, CBS Kilkenny held its annual Awards Ceremony. 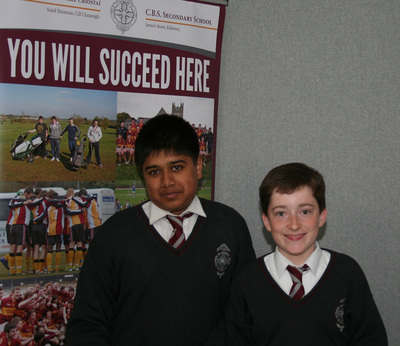 This occasion celebrates what is good and positive in the school. 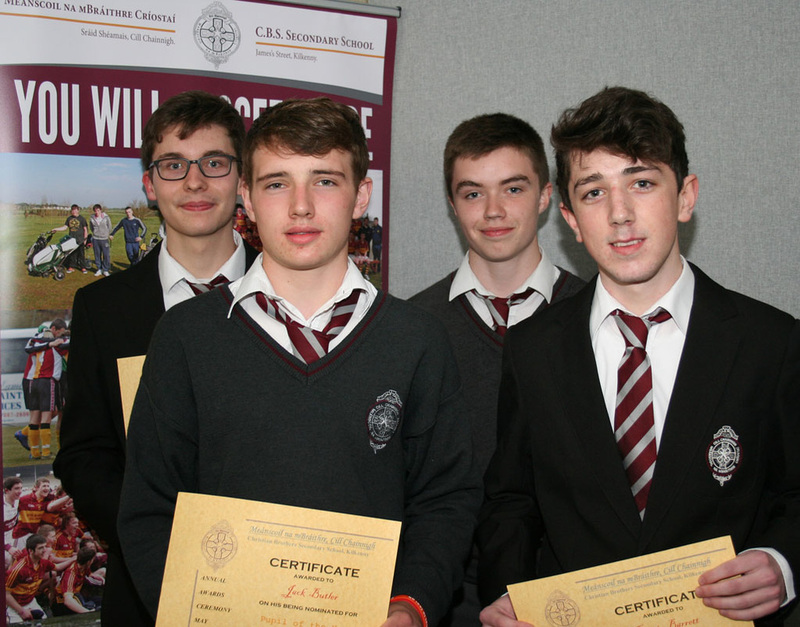 It is an opportunity to acknowledge the depth and breadth of achievements of all our students, and it is an opportunity to thank them for their tremendous contribution to the richness which characterises life in CBS Kilkenny. 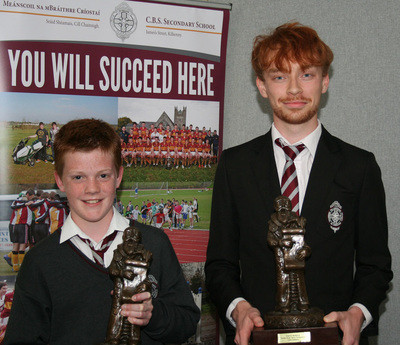 During the ceremony, we salute success in the arts, music, sport, academic pursuits and philanthropy and we strive to acknowledge the very many positive traits which characterise our students. 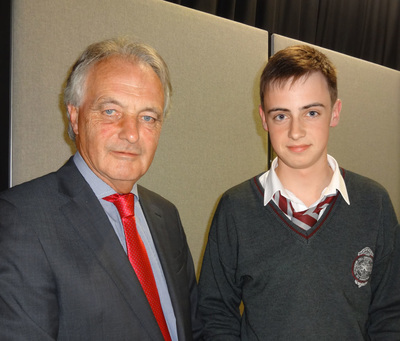 This year, we were delighted to welcome David Beirne as guest speaker. 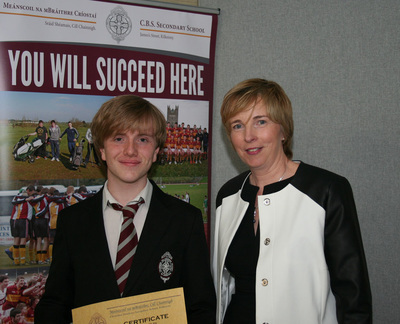 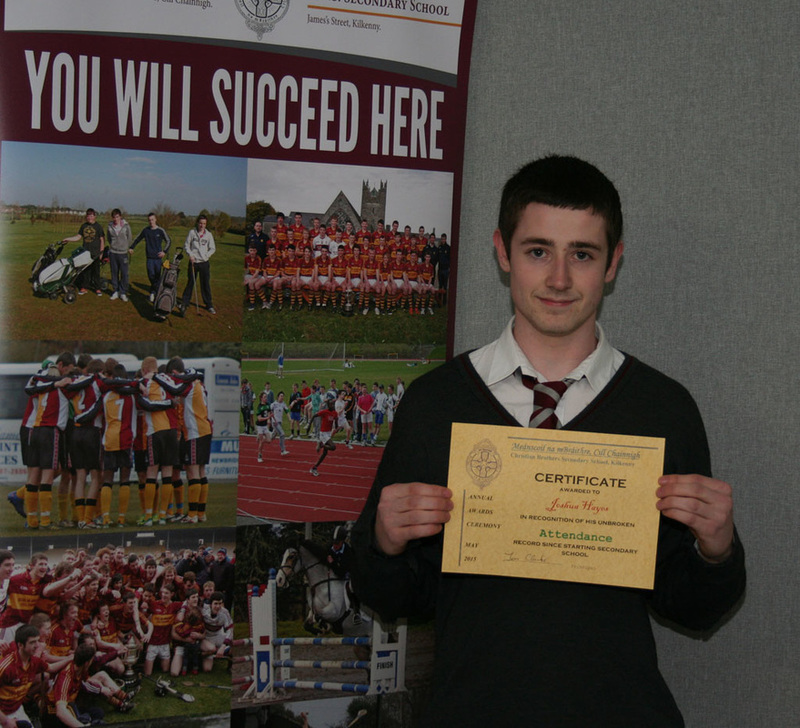 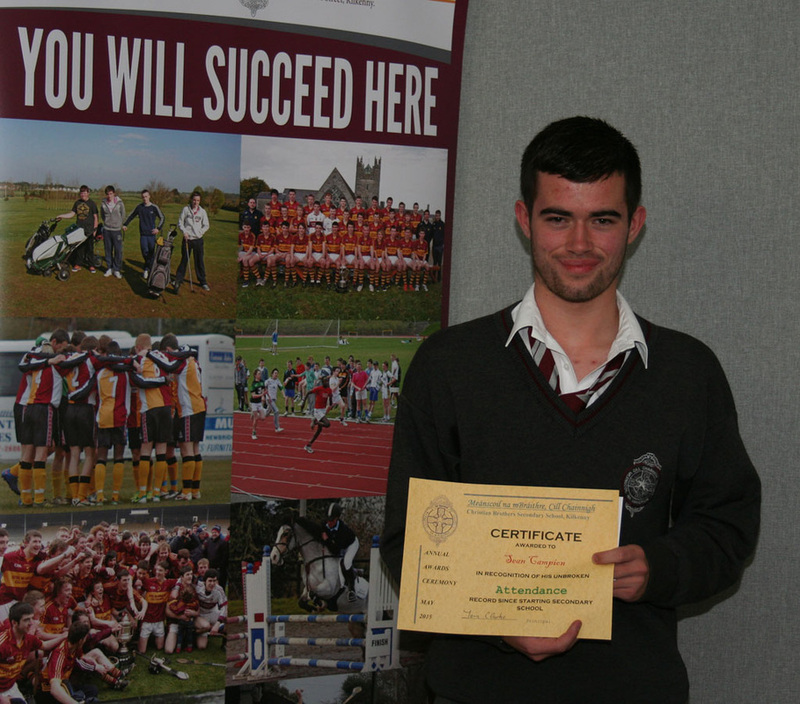 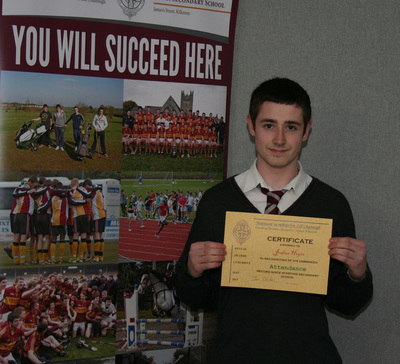 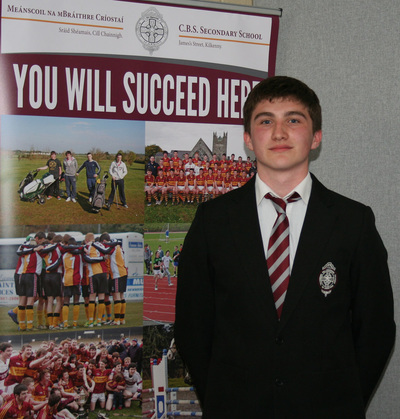 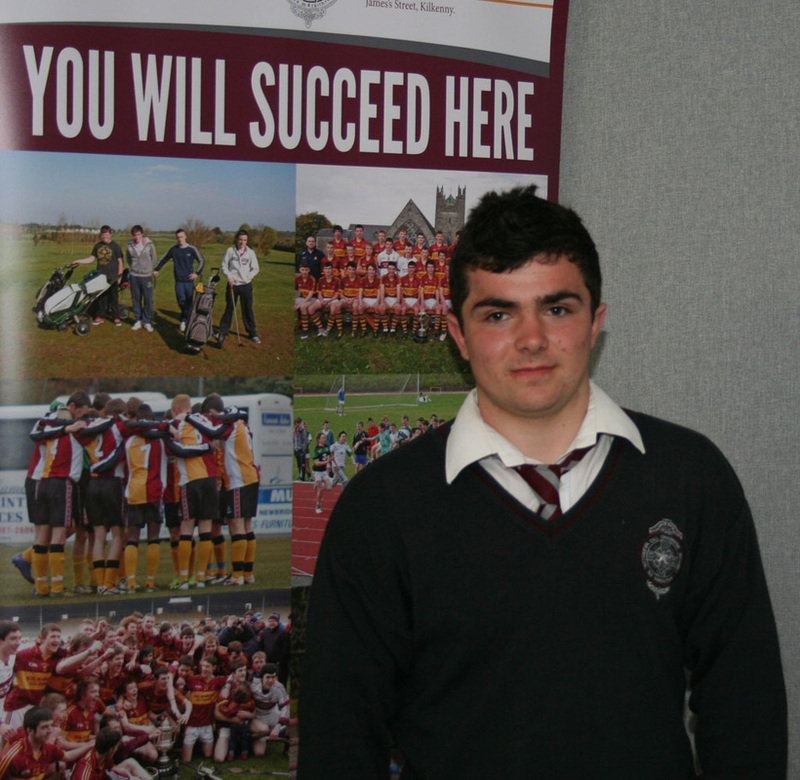 David is a former student at CBS Kilkenny primary and secondary schools. 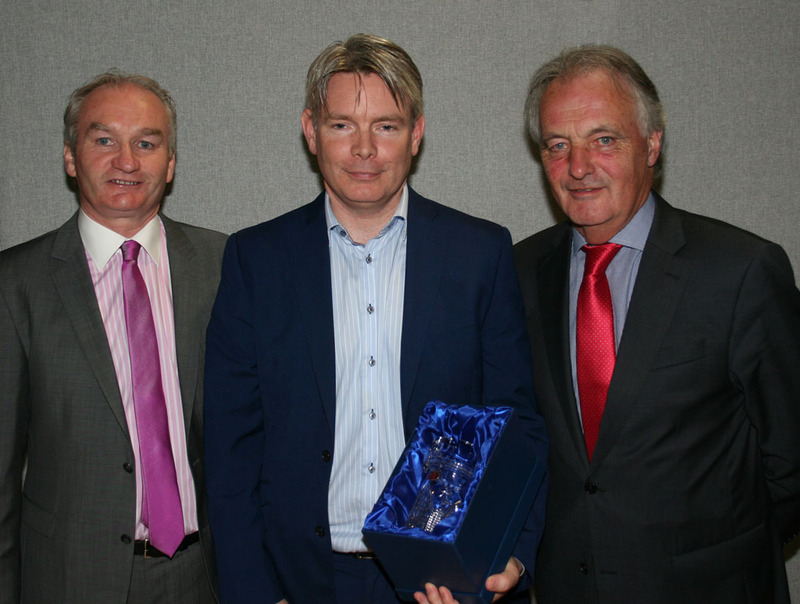 He is currently CEO of Whitfield Clinic in Waterford, having got there via a circuitous and interesting route! David spoke engagingly of his diverse work experience to date and how he continues to learn as he enters different fields such as construction, dairy production, management consultancy and most recently healthcare. 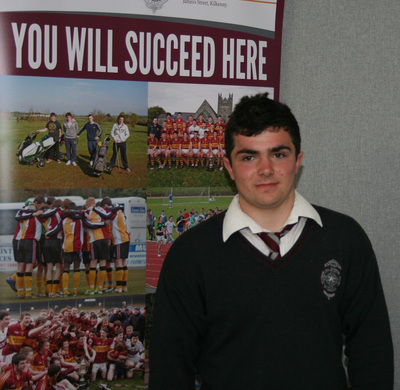 According to David, his background as a Dicksboro man and Kilkenny hurler defines him, more so than his career as an accountant. Nevertheless, his financial qualifications have provided him with an interesting career history to date. 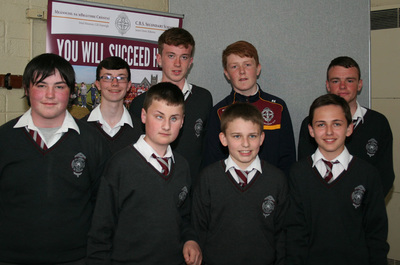 He advised the students before him to listen, communicate, seek advice, make their own decisions and play as a team. He sincerely congratulated the school community on the broad and deep talents that lie within and on the ongoing progress evident in CBS Kilkenny. 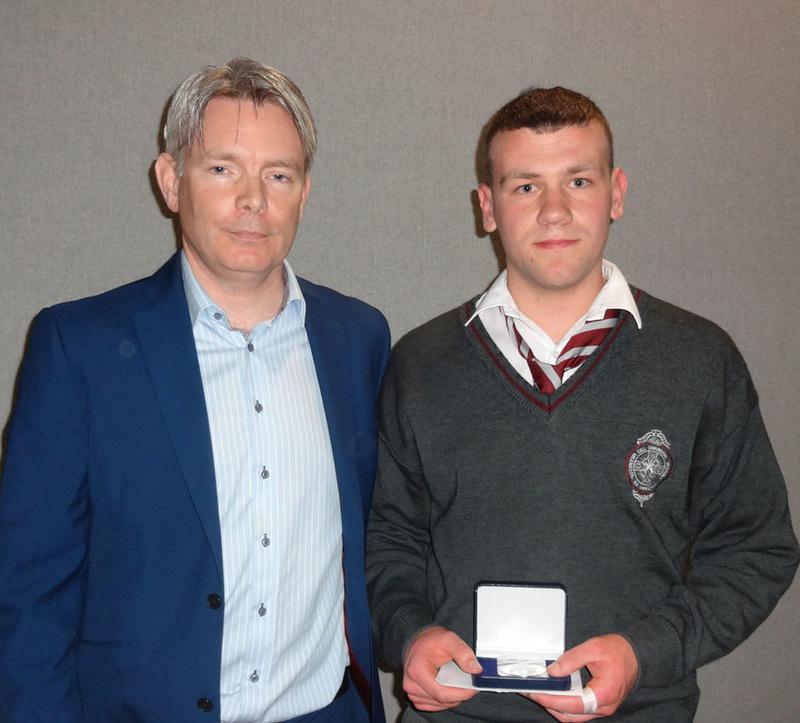 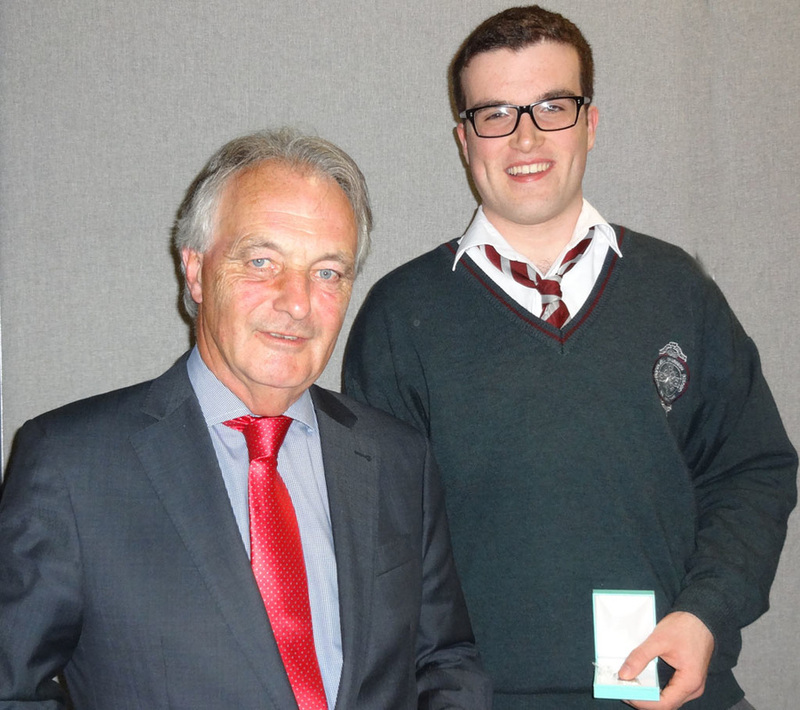 During the evening, David presented Eoin Croghan with the McFadden medal. The coveted award is presented annually to the student in sixth year who best represents all aspects of CBS character: integrity, honesty, ability to engage meaningfully with people from all walks of life, determination, enthusiasm, generosity and kindness. 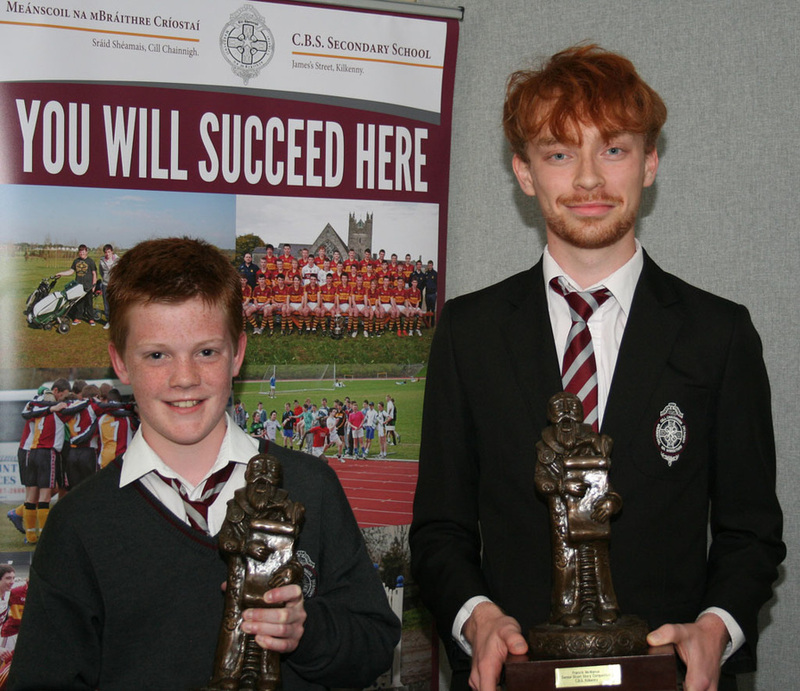 During his address, Principal Tom Clarke saluted the different members of the school community who all contribute significantly to the success of CBS Kilkenny. 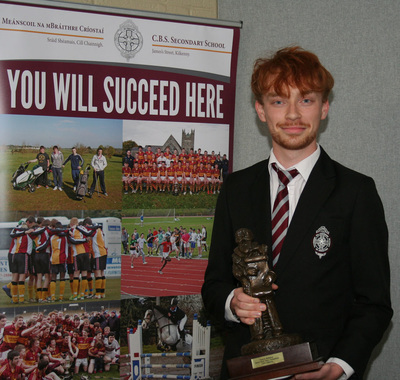 Recognising that a school is not simply a collection of students and staff, he acknowledged the very meaningful participation of CBS parents, students, Board of Management, Parents Council, past pupils, the Kilkenny business community and the staff of CBS Kilkenny. He warmly congratulated all of the students and saluted their achievements, particularly their willingness to participate in, contribute to and engage with their school community. 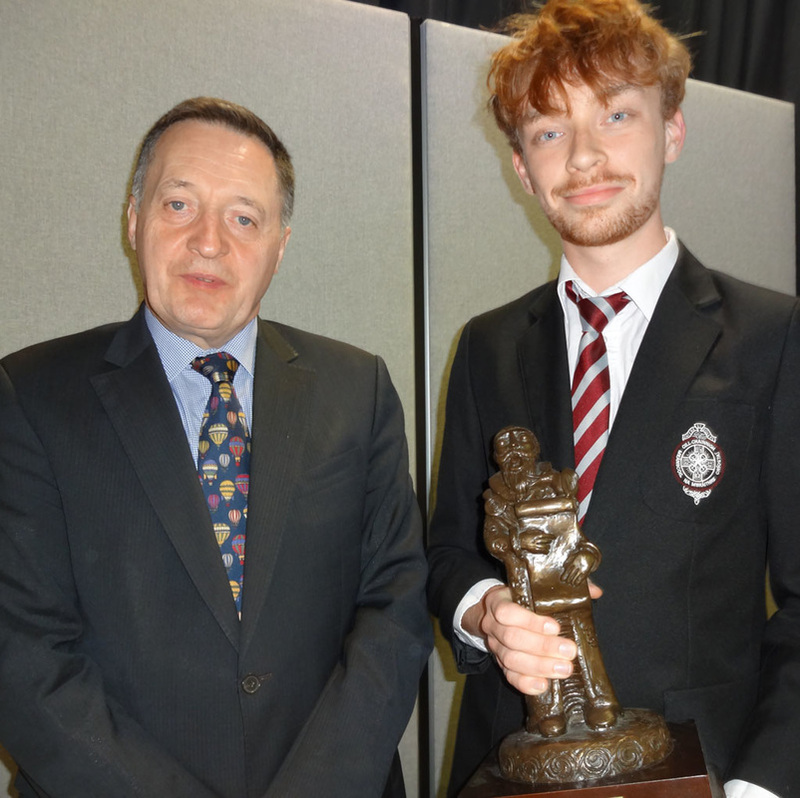 In particular, Mr Clarke congratulated the other nominees for the McFadden medal: Robert Keenan, John Walton, Patrick Grace, Barry Hennessy and the eventual winner Eoin Croghan. Retired Librarian Mrs Butler was in attendance to present the inaugural First Year Literacy Award, and Ms Claire Mahony was sincerely thanked for her outstanding contribution during her tenure as Chairperson of the Parents Council. 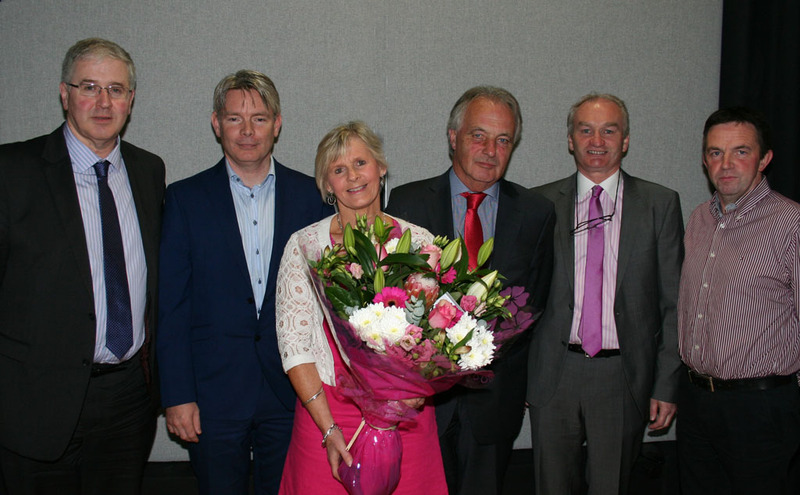 All in all, a very enjoyable evening was had by all. 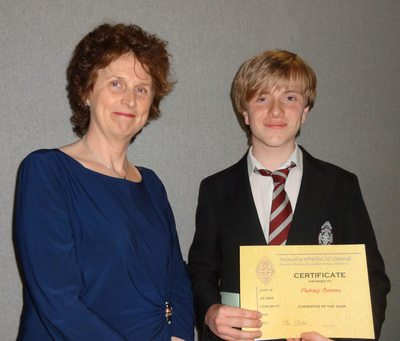 Sincere thanks to Ms Cahill, Ms King, Mairead Phelan, Eileen Henebry and Mary O'Donoghue for all the hard work which goes into making a night such as this run as smoothly as it always does, and to Ms Dowling and Ms Evison for their great work with the choir. 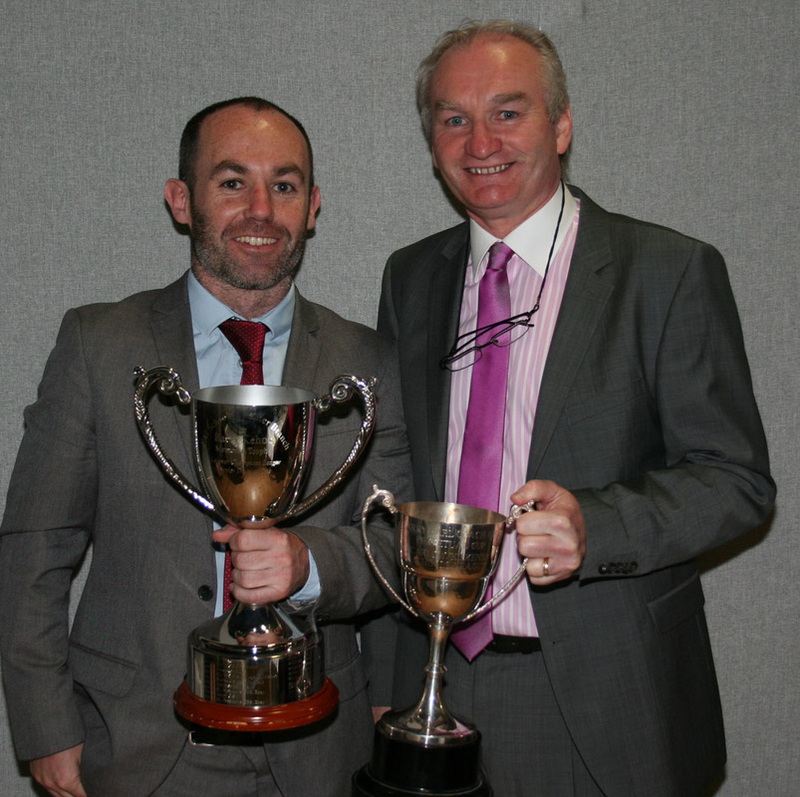 Watch David Beirne's Guest Speaker address here. 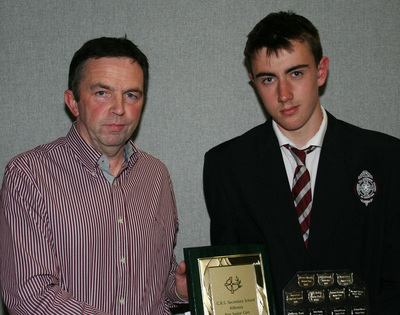 Mr Gerard Morrissey presents the Senior Hurling award to Kevin Galvin.